Inside the walls of the famous Bordeaux vineyard, learn how to make your own wine and take home a bottle to share with friends. A wine workshop unlike any other in Europe! 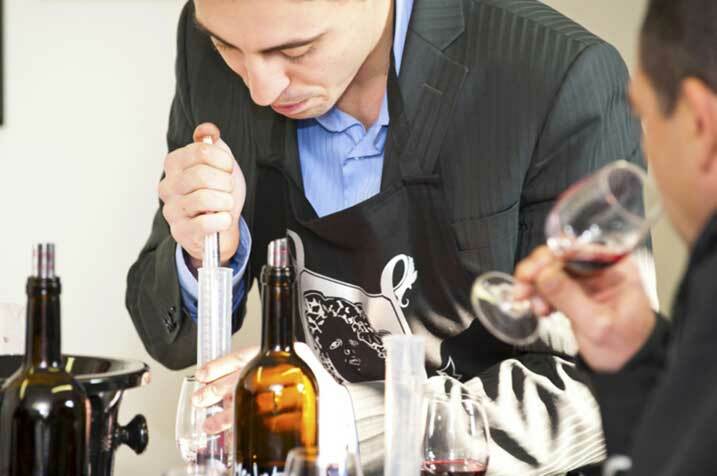 After a visit to the vineyard with a wine expert from Chateau Pape Clément, become a winemaker yourself, test tube in hand, in the B-Winemaker workshop! You will first learn to taste wine and tell the difference between Cabernet and Merlot grape varieties. Then you will create your own wine. Corked and capped, your souvenir bottle is soon ready, with its own personalized label! Finish the experience well by tasting a vintage wine from the chateau, which you can compare with your own creation.